We strive to fulfill the dreams of our customers and fulfill all their desires. We're happy to offer our construction services for residential & commercial spaces. Whether you are thinking about renovating your home or creating a new room, our professional designers will work with you every step to ensure that your home projects retain the best look in years to come.  With thousands of customers in the San Jose Area, Bay Home Builders, Inc. has developed a process to ensure that you get the highest quality of service throughout the project, applying the latest design trends. We are the number one choice in San Jose Company for home remodeling, room addition, kitchen remodeling and bathroom remodeling. Based on our commitment to outstanding design, this is one thing that enables us to discover all aspects of remodeling and management so we can deliver excellent quality business at affordable prices, offering greater value to our customers. Our commitment to providing the highest quality materials, installations, experience, and service makes us a "general remodeling specialist"! We are proud that you have competent, professional and skilled meeting staffs that are ready to assist you at every stage of your project. Did we mention affordable? This is because we are highly organized and specialized. You will be surprised how much you can pay for your newly renovated bathroom. Local specialists you can trust. As a general contractor, we offer a turnkey solution where you can have all the details of space planning, detailed design, device selection, flooring, paneling, lighting and decoration. We often work in partnership with an architect, interior designer, and/or client builder in combination that the client prefers. After the end of the project we provide service and help. Our customers know they can trust us, be it replacing hardware, a new drawer, or change cabinets. Visually communicate with our customers using Sketchup software (3D modeling) and encourage teamwork and collaboration within our organization. Although we have the opportunity to work on several projects at the same time, we are very proud of the amount of personalized attention we show to our clients and the consistency that we support and execute our projects.